As Venezuela faces an economic crisis that has left the nation’s citizens in abhorrent conditions, without access to necessities such as food and medicine, Venezuelans are fleeing to neighboring countries that are already dealing with an unprecedented influx of middle eastern refugees, as well as internal conflicts between gangs, guerilla groups, and corruption scandals. Neighboring countries, though sympathetic to Venezuela’s worsening condition, are struggling to accept Venezuelan migrants. Colombian officials have decided to institute stricter migration laws to prevent Venezuelan migrants from working with the ELN, the last main guerilla group left in the country. Brazil has declared a state of emergency over the influx of Venezuelan migrants as they face internal issues of drug and gang violence. Although it is undeniable that an unprecedented number of Venezuelans are fleeing their home due to political prosecution and its current humanitarian crisis, officials are hesitant to call the matter a refugee crisis, which leaves other Latin American countries in a complicated place to handle the large influx of Venezuelan migrants. The UNHCR (The United Nations Refugee Agency) defines a refugee as “someone who has been forced to flee his or her country because of persecution, war, or violence. A refugee has a well-founded fear of persecution for reasons of race, religion, nationality, political opinion or membership in a particular social group. Most likely, they cannot return home or are afraid to do so” (UNHCR 1). Under the 1951 Refugee Convention in Geneva, refugees are to be given special legal protection, social rights, and other types of assistance by the nations who signed the treaty, which every country in South America did (UNHCR 2). Even still, these nations are struggling to determine how they will be able to accommodate Venezuelan refugees, and each country has its own response. Colombian officials claim that over 550,000 Venezuelans are now living in Colombia, a majority of which are there illegally (BBC Latin America & Caribbean, 2018). Colombian President Juan Manuel Santos expressed on November 9, 2017 that Venezuela is his worst nightmare, and former Colombian diplomat, Roberto Cajamarca Gomez, assured Deutsche Welle that “an implosion in Venezuela would indeed be a great threat to Colombia, both for the peace process and for the 2018 presidential elections” (Ospina-Valencia, 2017). In the past few months, the Colombian guerilla group ELN has orchestrated bombings on Colombian infrastructure and has created an economic shutdown forbidding any forms of transportation in ELN controlled areas. It is believed that several Venezuelan migrants helped ELN carry out the attacks, making Colombians wary of accepting Venezuelan refugees into the country. In order to implement stricter migration controls, President Santos recently decided to “temporarily suspend new daily entry cards, and deploy new security personnel, including more soldiers, along the 2,219 km (1,379-mile) shared frontier” (Reuters Staff 1, 2018). This will make it more difficult for refugees on the western border of Venezuela to flee the dangerous conditions. Not only is Venezuela’s western neighbor cracking down on migration, but Brazil, the country with which Venezuela shares its largest border, has also created new restrictions for Venezuelan refugees. Brazil has declared a state of emergency in response to the massive influx of Venezuelan migrants to the country. Nearly 70,000 Venezuelans crossed into Roraima, the northernmost state of Brazil in just the past few months, with an estimated 40,000 migrants remaining in Boa Vista, the capital of Roraima, representing 10% of the city’s population (Elliott, 2018). Living in makeshift conditions, in tents on the streets of Boa Vista, Thomas Brito, a Venezuelan refugee explained to Al Jazeera reporter Gabriel Elizondo, that the conditions in Boa Vista are still better than in Venezuela because at least he can find food, and people are willing to help him (Elizondo, 2018). In response to the wave of migrants, Brazil is increasing funding for migration control on Roraima and Venezuela’s border, as well as sending troops to help control the rate at which Venezuelans enter the country. According to Brazilian Defense Minister Raul Jungmann, “the armed forces will double troop numbers in the state, set up a field hospital and create a screening center for Venezuelans” (Reuters Staff 2, 2018). Brazil is currently facing a plethora of its own internal issues as its major cities are facing the worst outbreak of yellow fever in the country in decades (Darlington and McNeil, 2018). Furthermore, just this month, Brazilian President Michel Temer “signed a decree to allow the military to take over as the primary security force in the state of Rio de Janeiro as an extreme attempt to crackdown on rising gang violence in the region’s poor shantytowns, or favelas” which for Brazilians “has triggered painful memories of the country’s 21-year long military dictatorship that ended in 1988” (Gugerli, 2018). For many Venezuelans, crossing the border to Brazil is their only hope, as they travel with very little money, and face a completely new beginning in a country where they do not speak the language. Chile is another destination for many Venezuelan refugees, with an astounding 1,388% increase in its Venezuelan population between 2015 and 2017 (Faiola, 2018). Chile has the third highest minimum wage in Latin America as well as a relatively easy immigration process, making it an attractive place for Venezuelans to seek asylum. Despite Chile’s promising conditions for refugees, just like with every other country, Venezuelans must start over with no jobs, little money, and hope that they will soon be able to return to Venezuela. As the Venezuelan refugee crisis worsens, it is becoming more difficult for Venezuelans to find asylum in their Latin American counterparts. Panama has imposed new visa requirements on Venezuelans, Brazil has deployed troops to control the influx of refugees from their northern borders, and Colombia has created stricter migration laws out of fear that Venezuelans might get involved with the ELN. As for how long these refugees will need to find solace in other countries, Larry Centeno, a Venezuelan refugee in Bogotá explained “We can’t even say how long it will take us to rebuild the country, because we have no idea how long this problem is going to last” (Wyss, 2017). 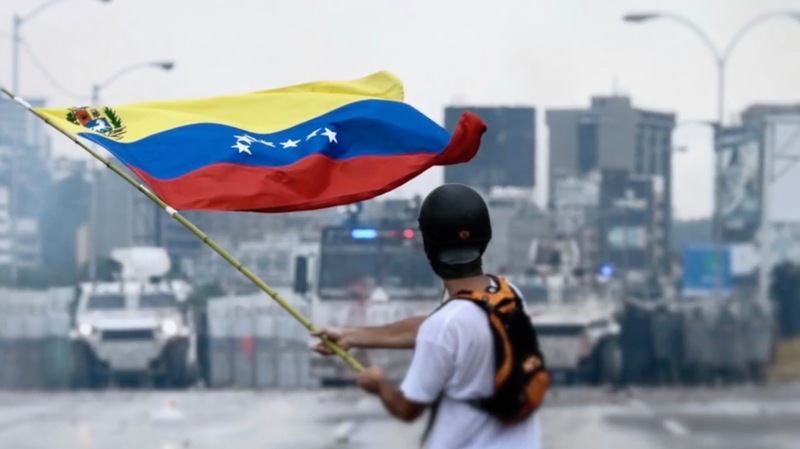 With mass controversy over the upcoming Venezuelan Presidential elections, and no real strides to improve the economic crisis in Venezuela, the end of the refugee crisis is nowhere in sight. BBC Latin America & Caribbean. (2018 Jan 19). "Colombia says 550,000 Venezuelans have fled to the country". BBC. Retrieved Wednesday, March 7, 2018. Shasta Darlington, Donald G. McNeil Jr.. (2018 Mar 5). "Yellow Fever Circles Brazil’s Huge Cities". The New York Times. Retrieved Wednesday, March 7, 2018. Gabriel Elizondo. (2018 Feb 28). "Thousands of Venezuelans cross into Brazil to flee crisis". Al Jazeera. Retrieved Wednesday, March 7, 2018. Lucinda Elliott. (2018 Feb 16). "Emergency after 70,000 Venezuelan migrants cross Brazil border". The Times. Retrieved Wednesday, March 7, 2018. Anthony Faiola. (2018 Mar 2). "The Crisis Next Door: Mass exodus of desperate Venezuelans is overwhelming neighboring countries". The Washington Post. Retrieved Wednesday, March 7, 2018. Kristen Gugerli. (2018 Mar 6). "Brazilian troops storm favelas of Rio de Janeiro to combat rising drug violence". Panoramas. Retrieved Wednesday, March 7, 2018. José Ospina-Valencia. (2017 Nov 14). "Could there be a Venezuelan refugee crisis?". Deutsche Welle. Retrieved Wednesday, March 7, 2018. Reuters Staff. (2018 Feb 15). "Colombia says increasing number of Venezuelans involved in ELN attacks". Reuters. Retrieved Wednesday, March 7, 2018. Reuters Staff. (2018 Feb 14). "Brazil to increase army presence on border with Venezuela". Reuters. Retrieved Wednesday, March 7, 2018. UNHCR. (2018). "What is a Refugee?". UN Refugees. Retrieved Wednesday, March 7, 2018. UNHCR. (2018). "States Parties to the 1951 Convention relating to the Status of Refugees and the 1967 Protocol". UN Refugees. Retrieved Wednesday, March 7, 2018. Jim Wyss. (2017 Dec 20). "Record number of Venezuelans fleeing to other parts of South America". Miami Herald. Retrieved Wednesday, March 7, 2018.